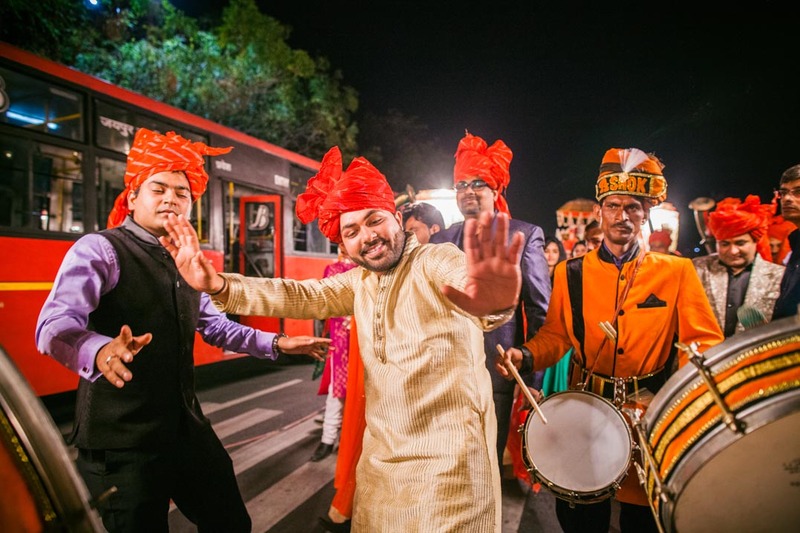 Two ambitious souls, one hailing from the colourful historical city of Jaipur and the other from the ever charming bustling with energy city of Mumbai set on a journey to realise their dreams in one of the most coveted management institutions of India-Indian School of Business, Hyderabad. 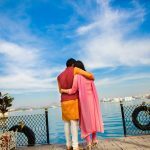 Amidst the management lessons and the never ending lectures, blossoms a beautiful love story that is filled with child-like innocence and the sweetness of romance. 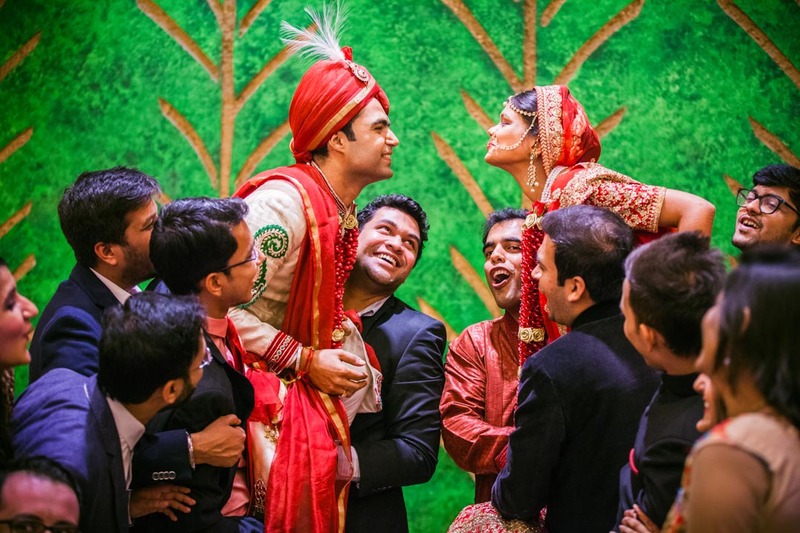 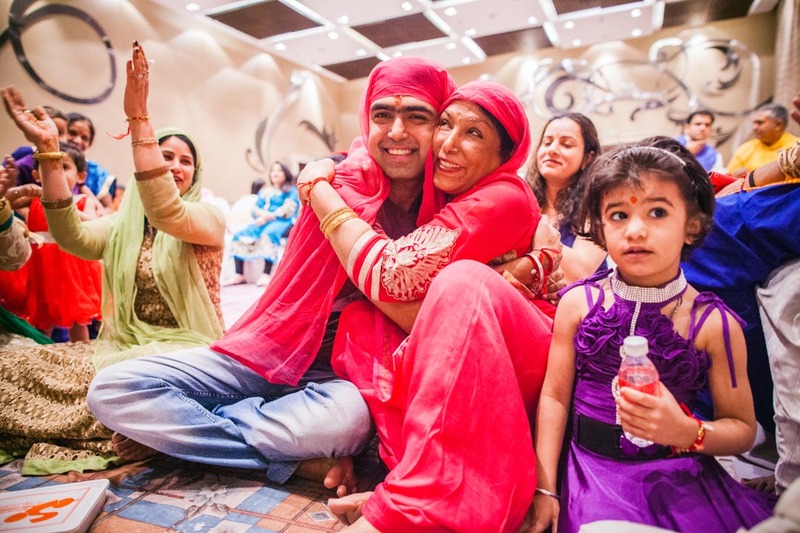 Chitvan and Vikas’s love story is a heartwarming one and fills one’s heart with joy. 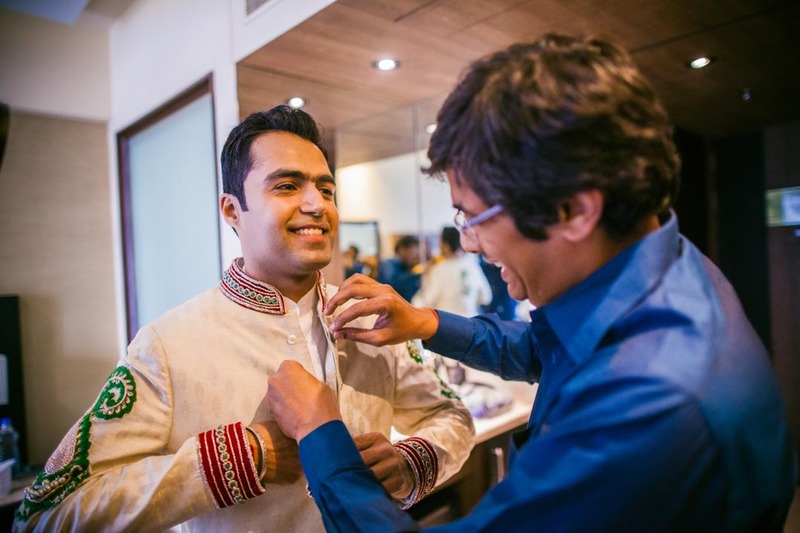 Hailing from Marwari families, Vikas was a batch senior to Chitvan’s at ISB. 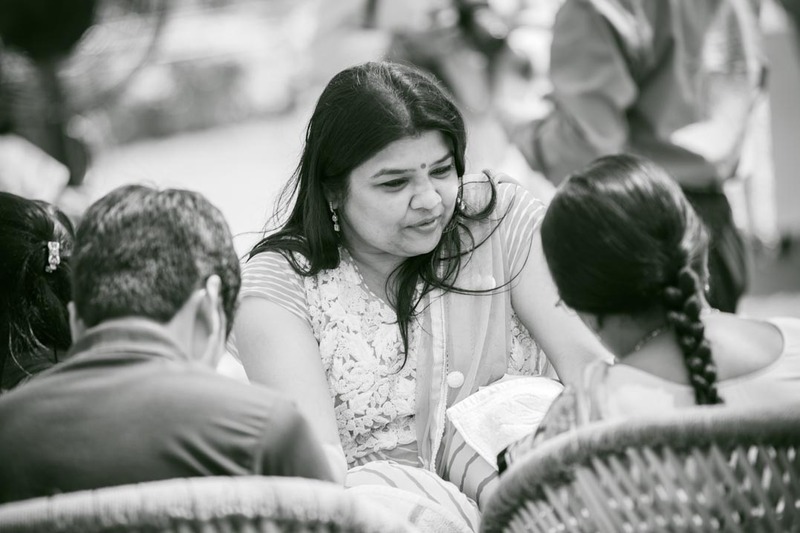 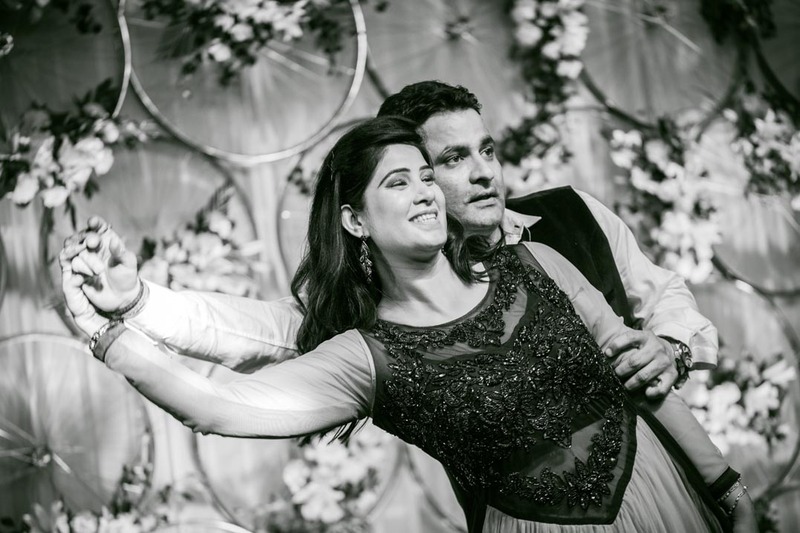 Who had fathomed that the friendly chats and career advice sessions would become a ground enough for these two yearning souls to discover the beauty of their bond and firm up their minds to spend the rest of their lifetimes together. 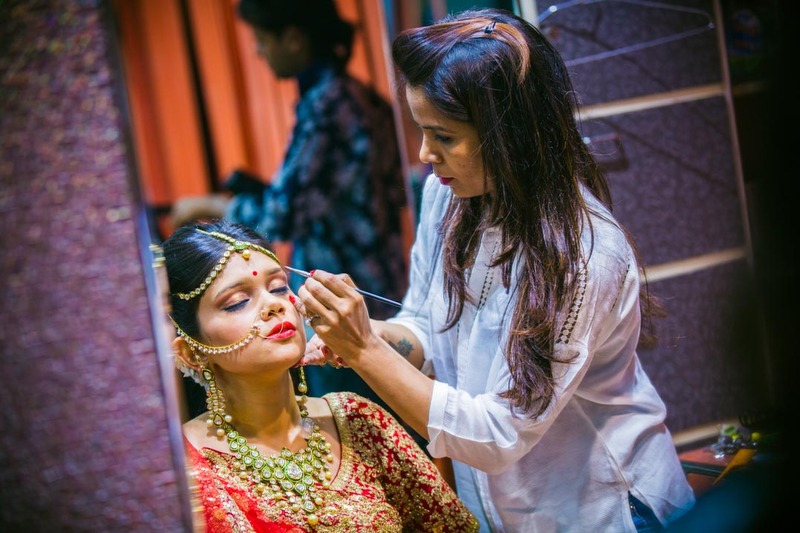 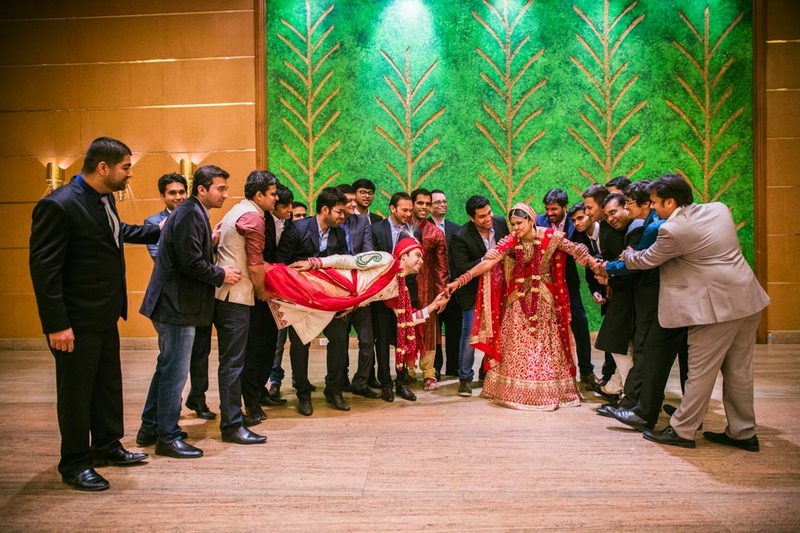 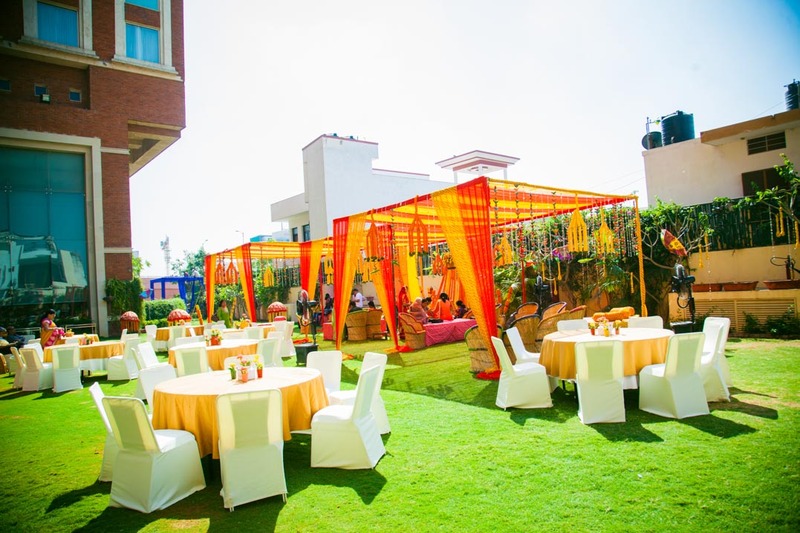 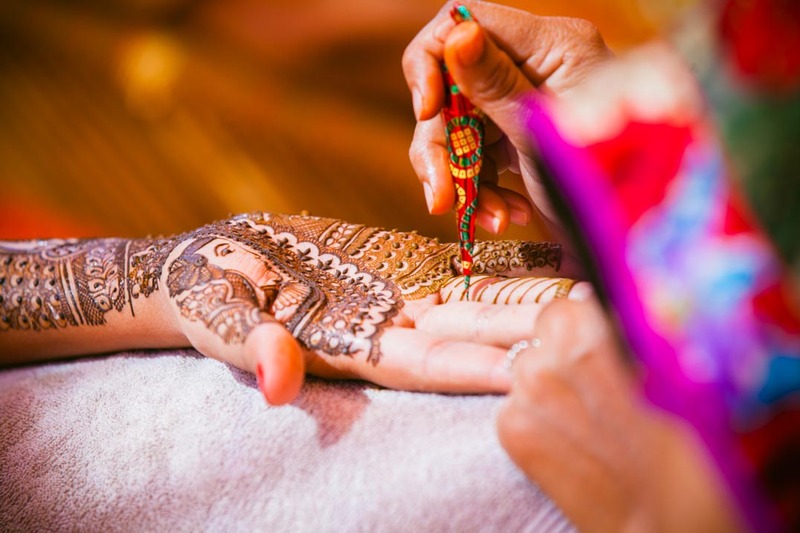 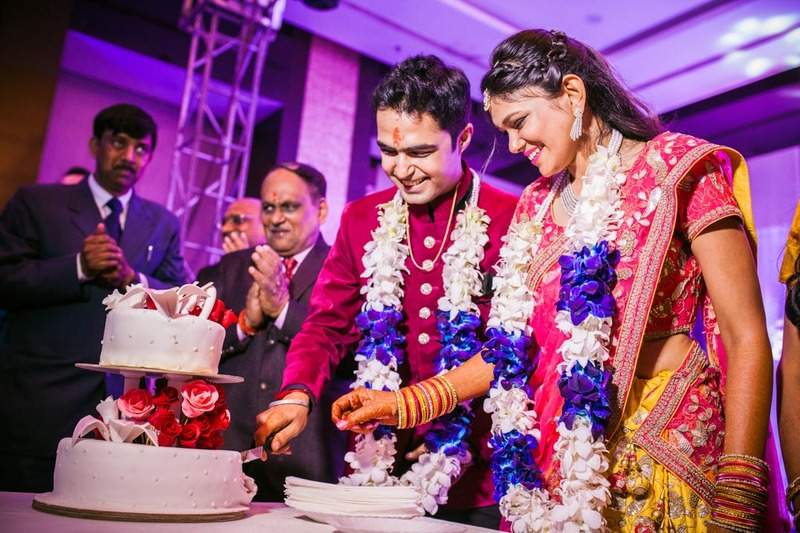 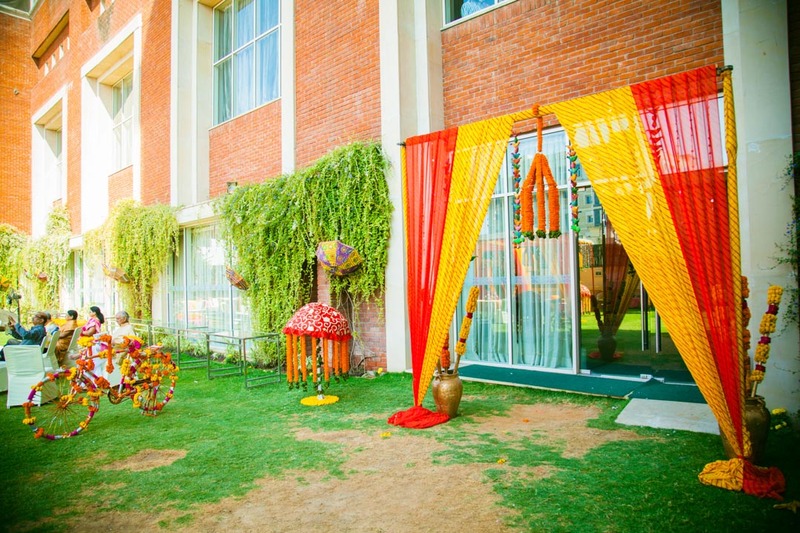 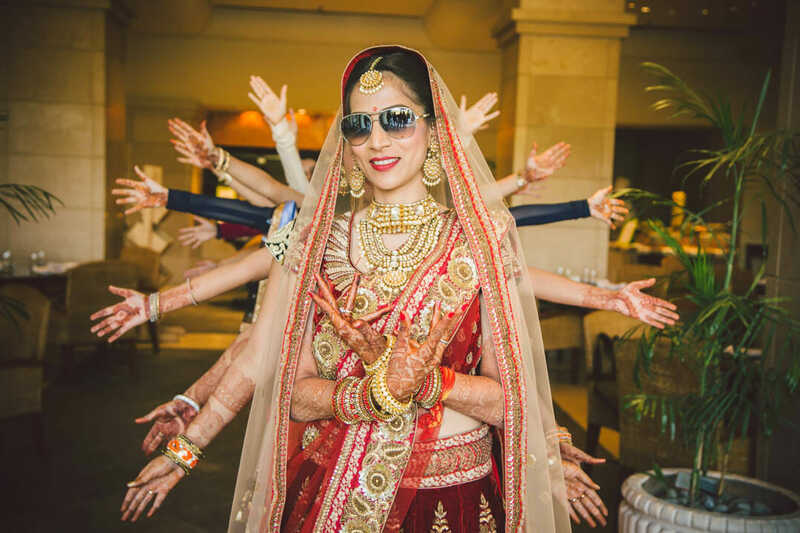 The destination wedding Jaipur was a lavish affair at Jaipur’s leading five star resort held in March 2016. 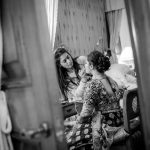 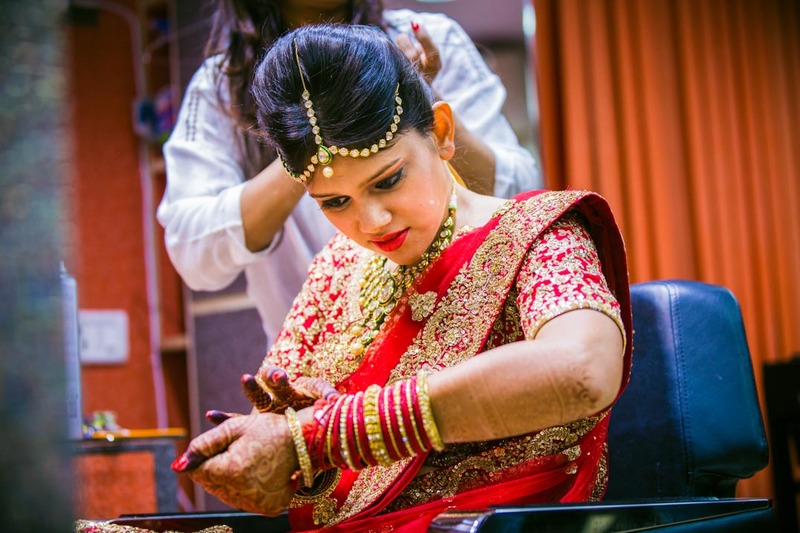 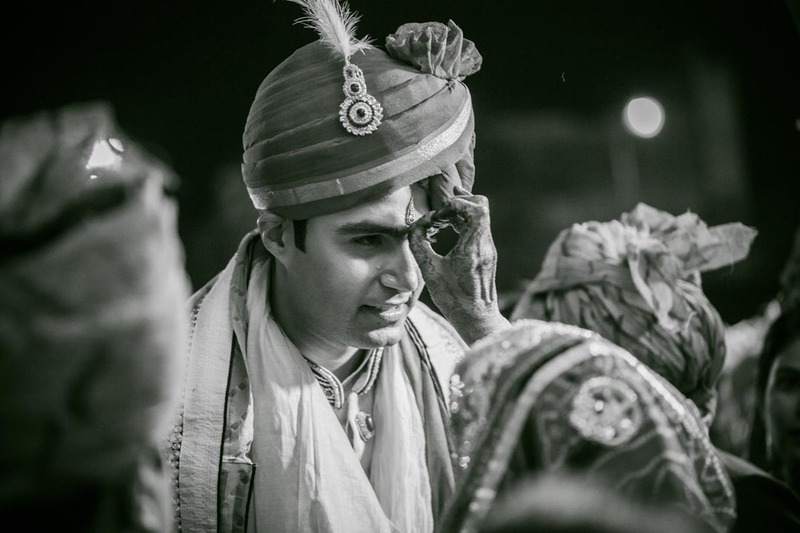 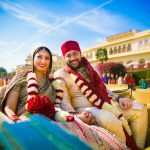 Their candid wedding photography and cinematography destination wedding Jaipur was one of the most memorable one for our team. 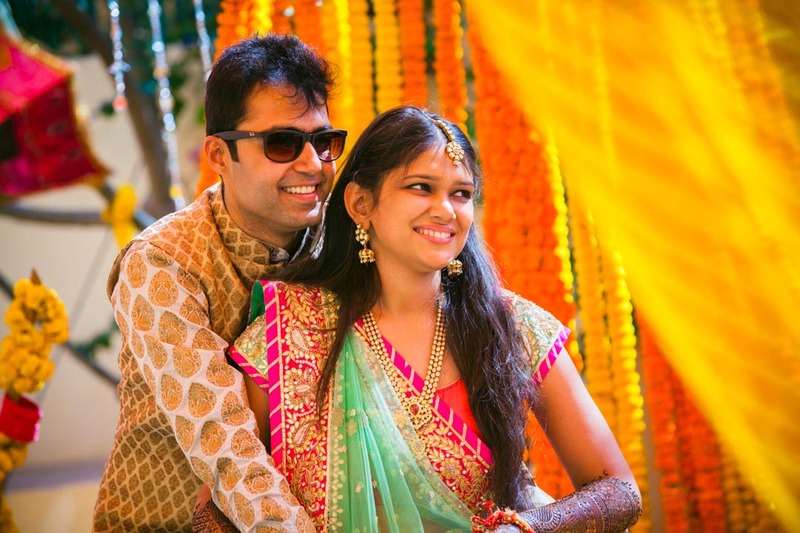 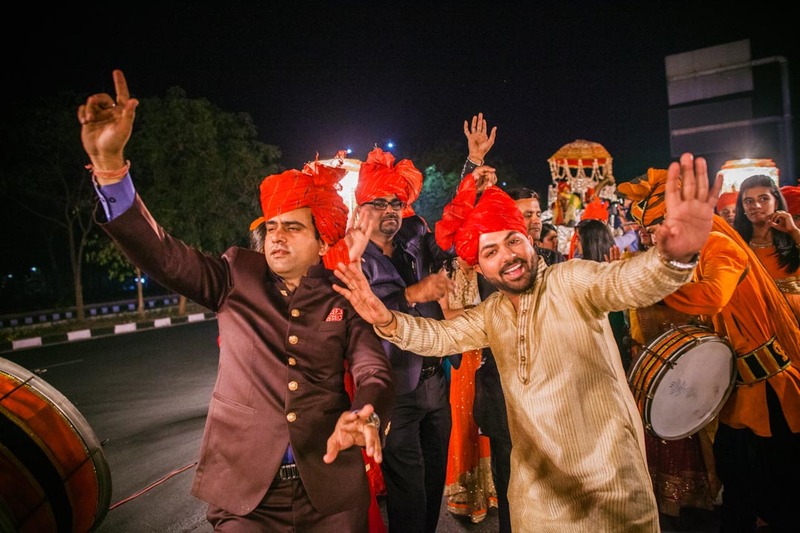 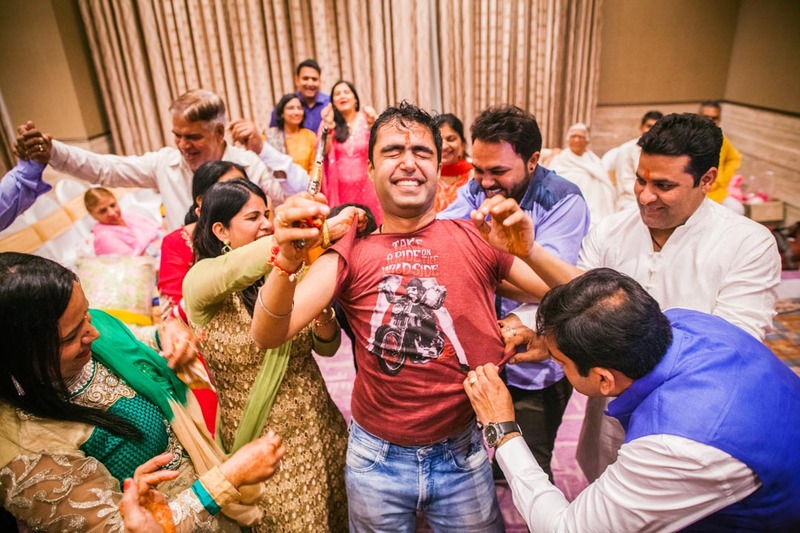 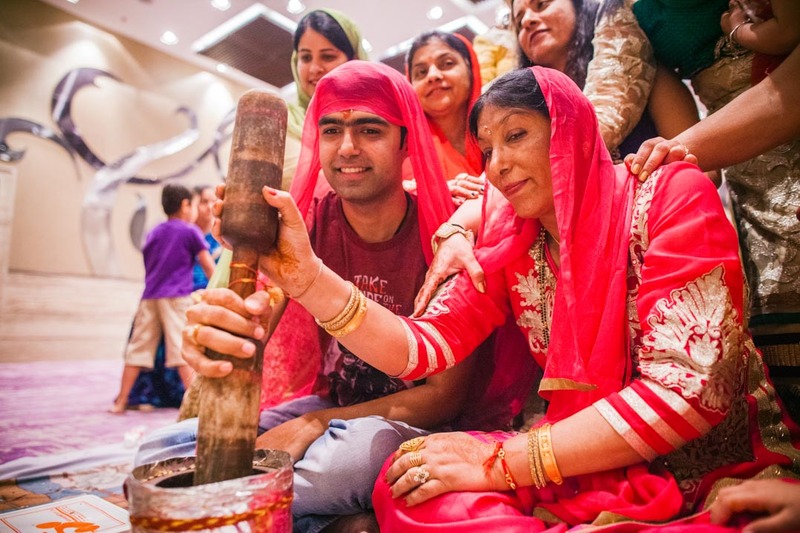 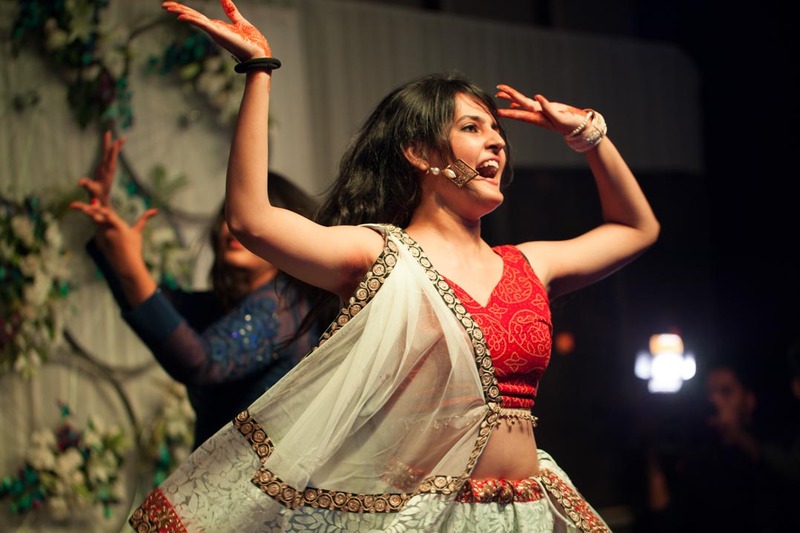 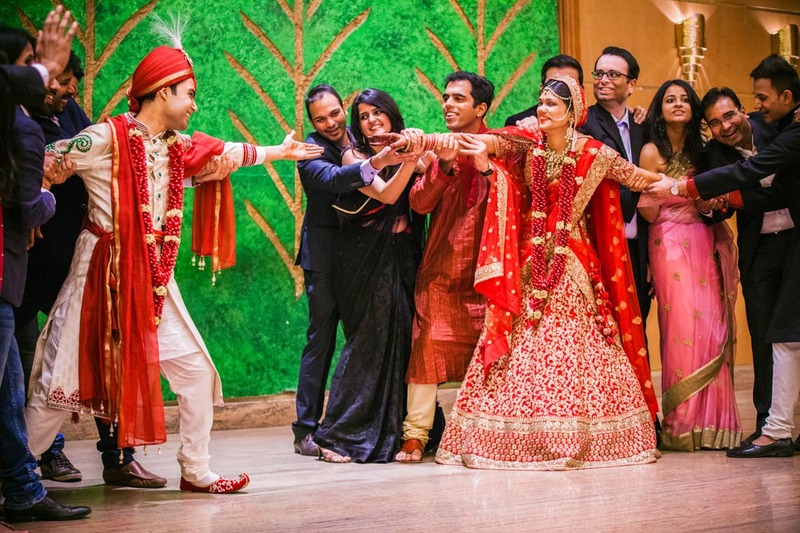 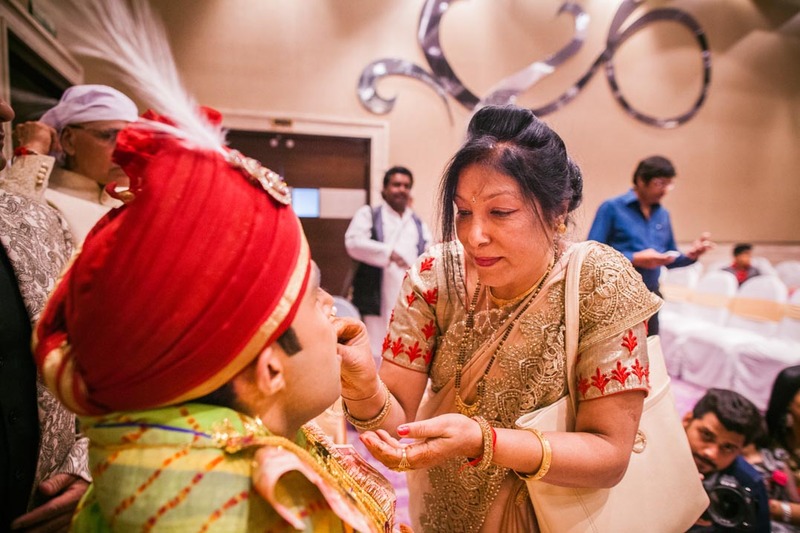 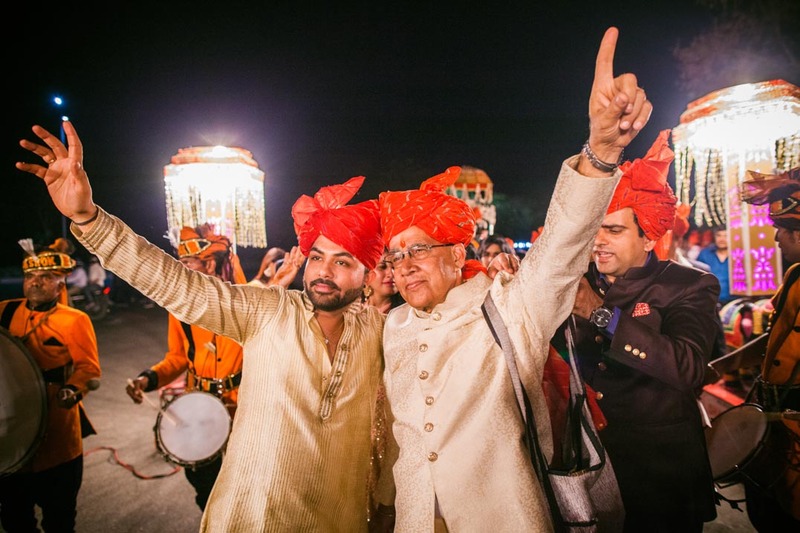 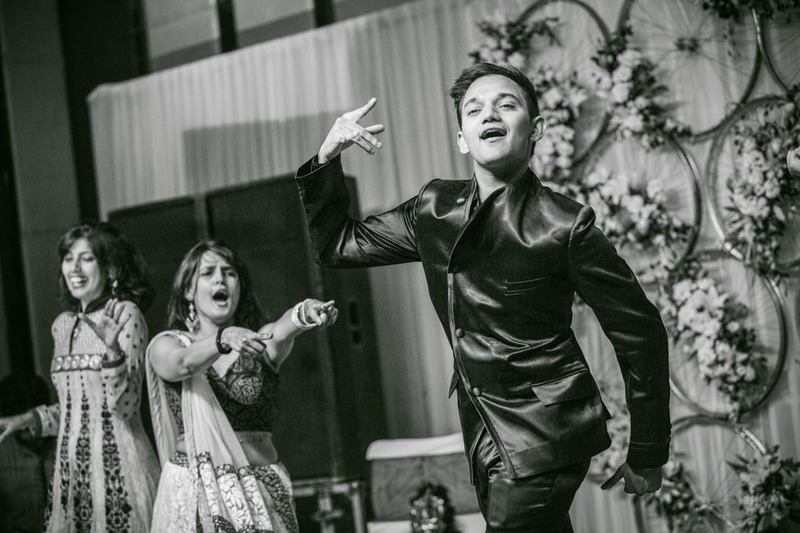 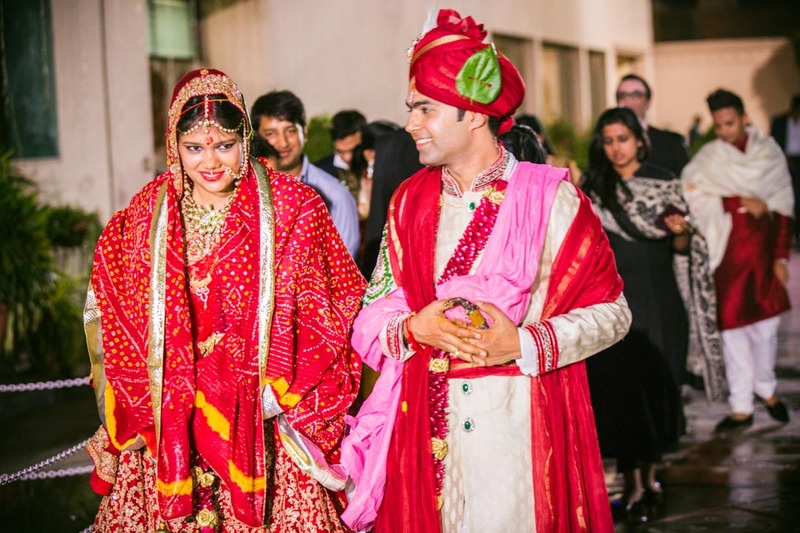 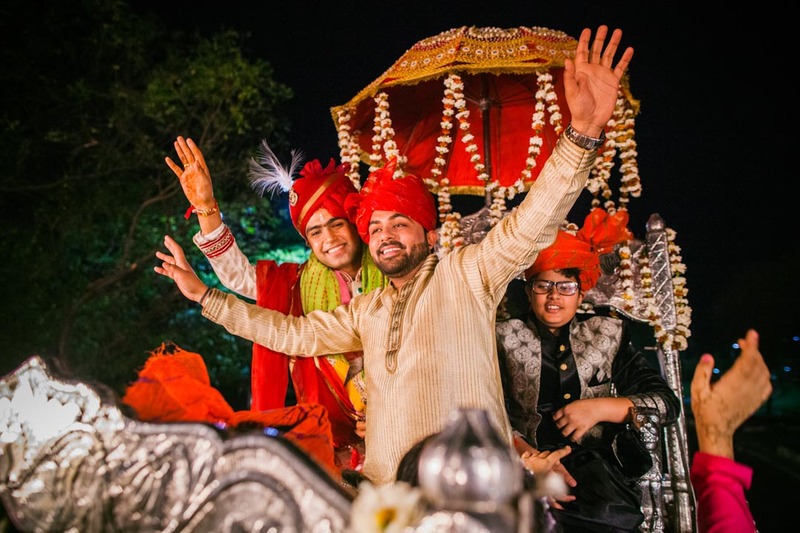 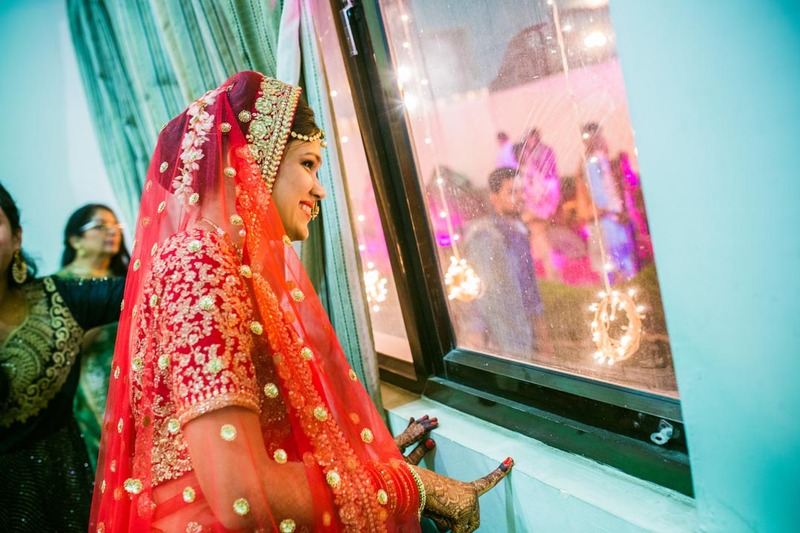 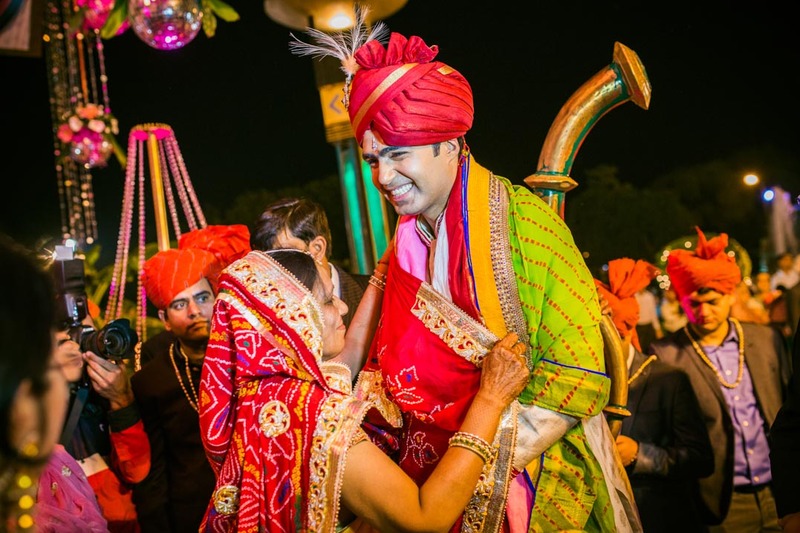 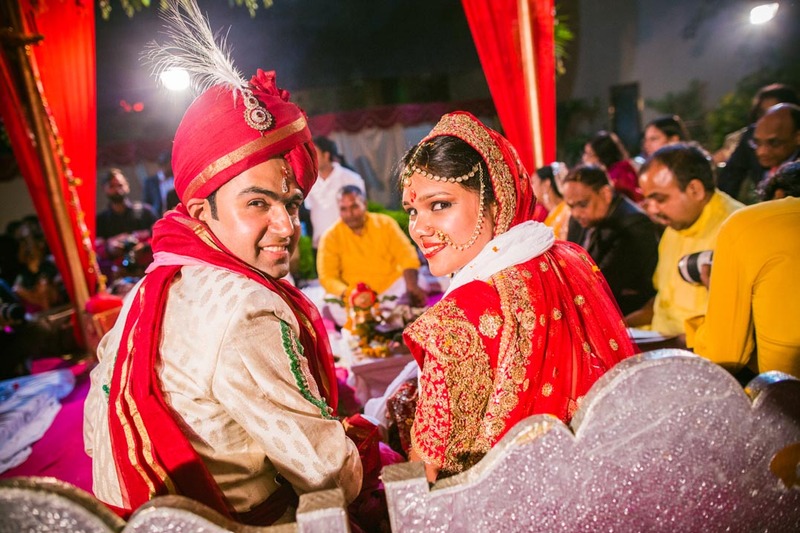 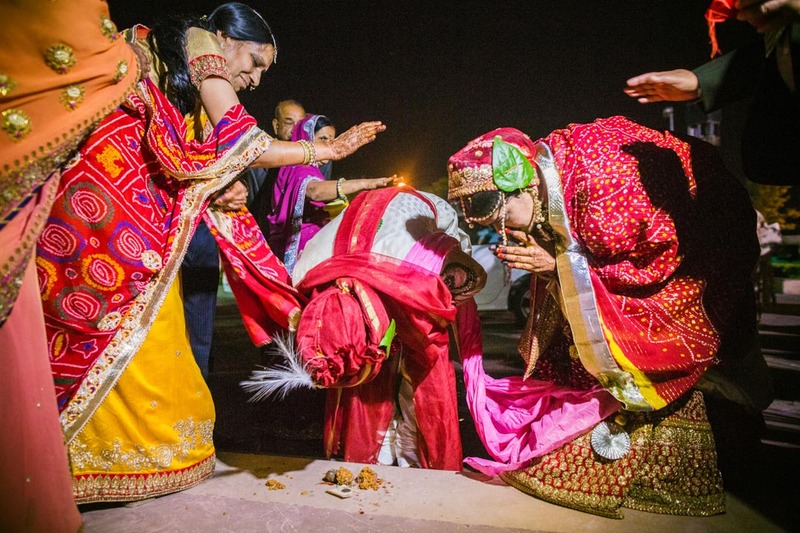 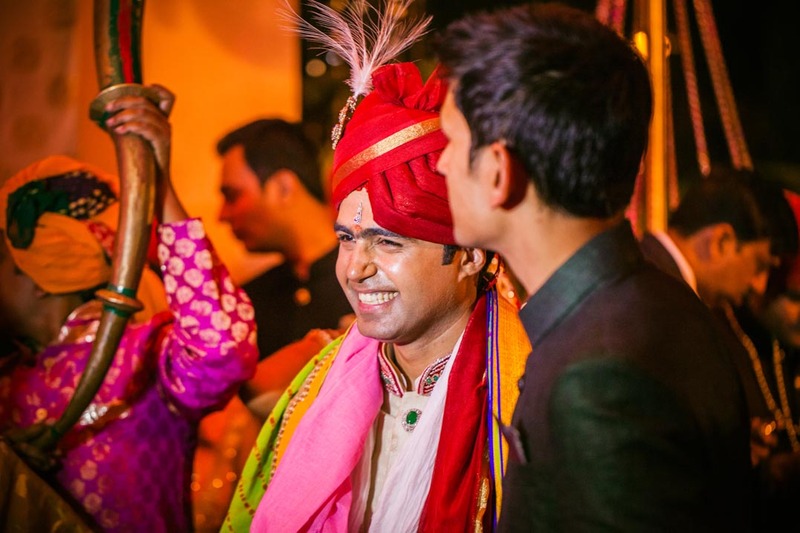 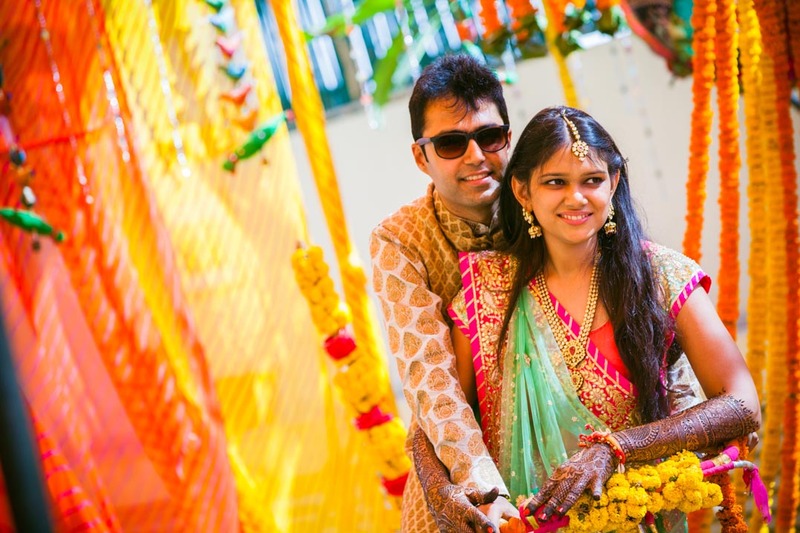 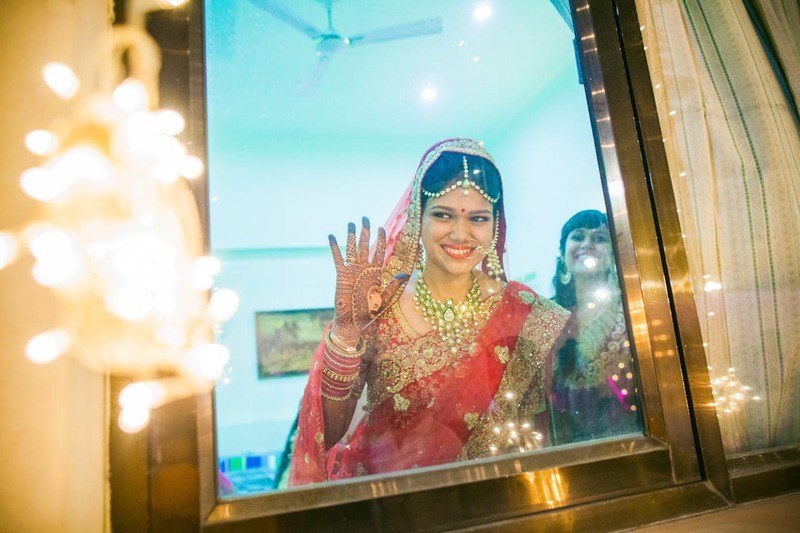 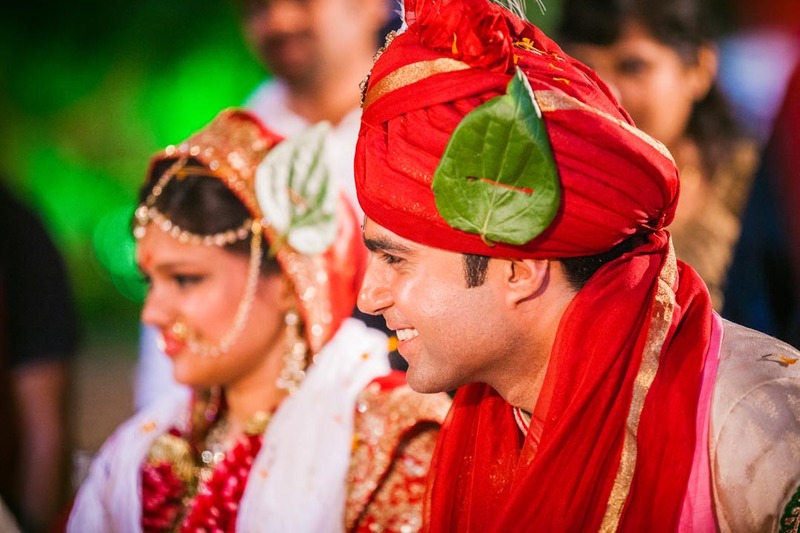 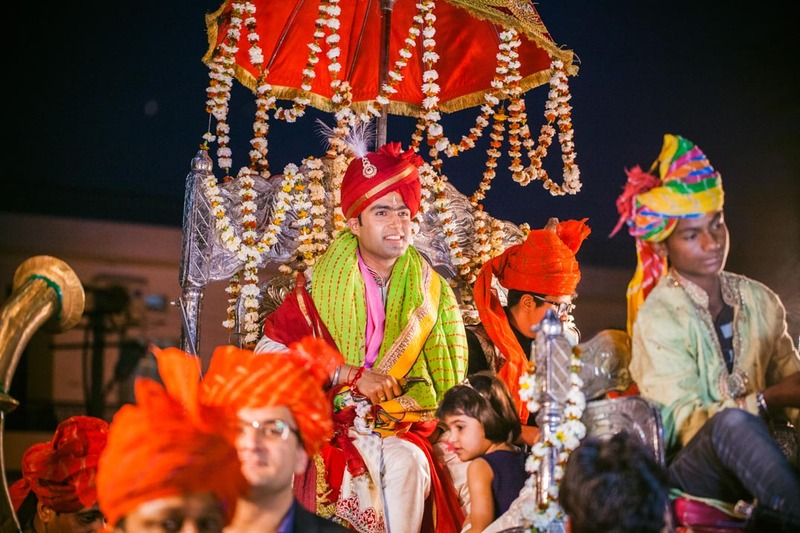 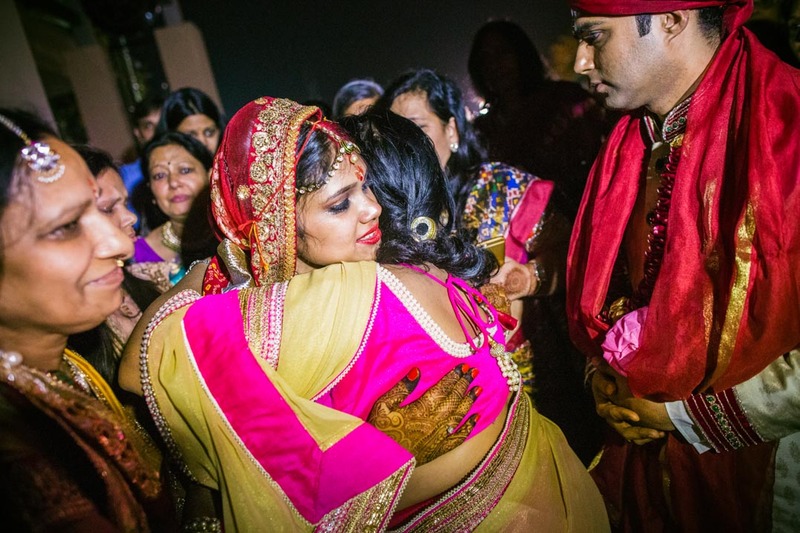 Filled with colours and the lively marwari traditions, the much in love couple stole the guests’ hearts with their magnificent outfits and charming personalities. 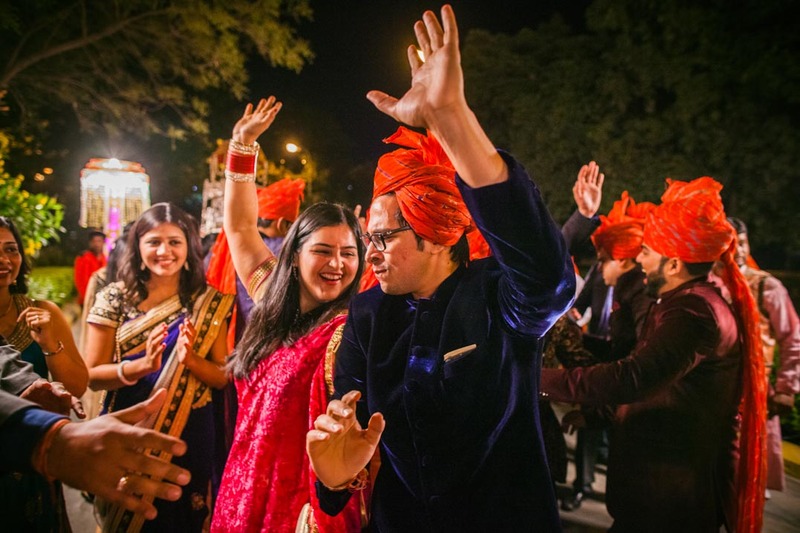 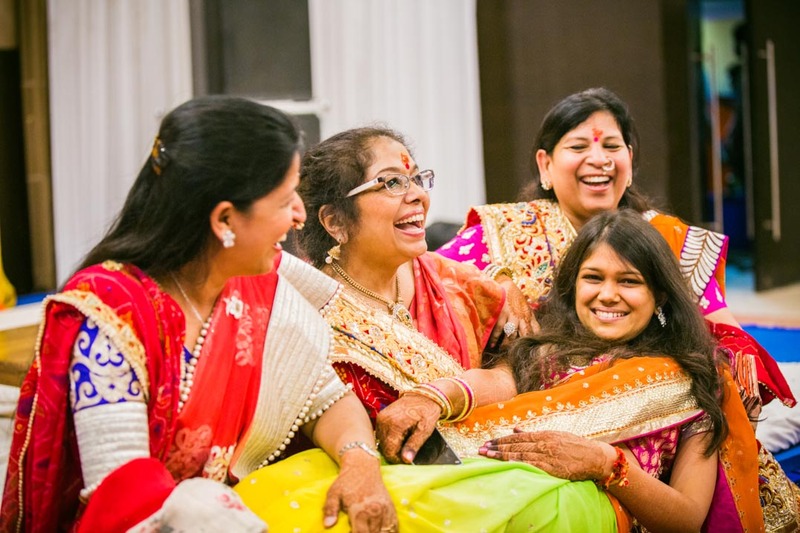 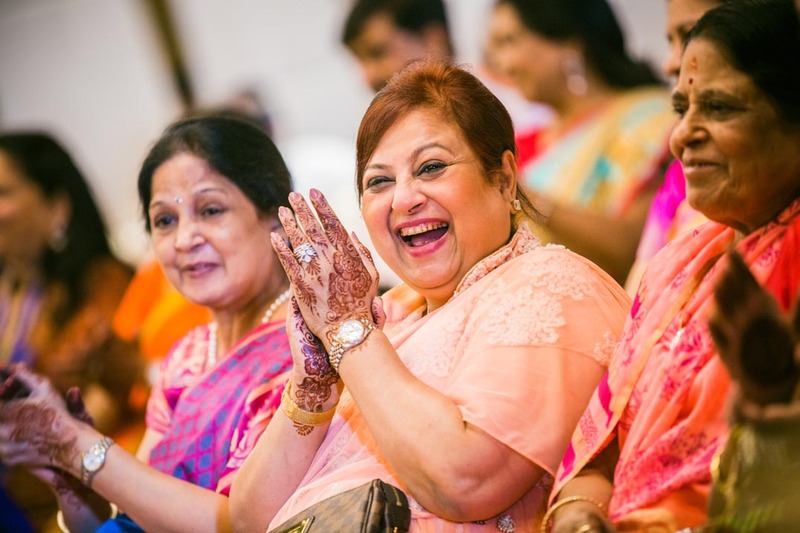 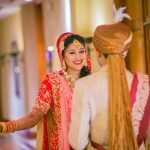 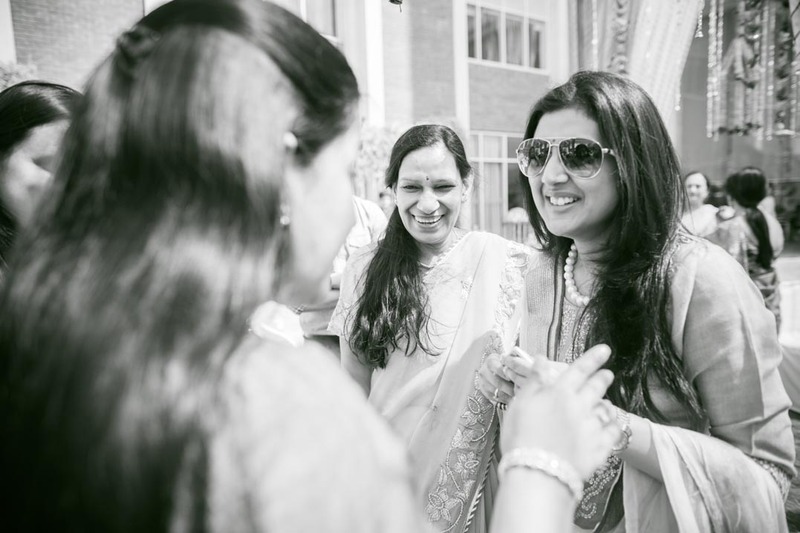 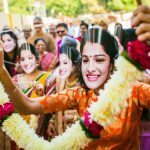 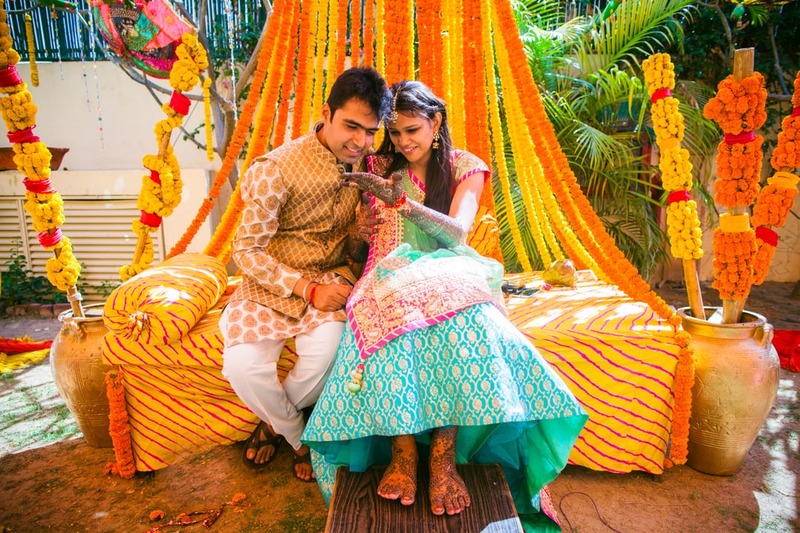 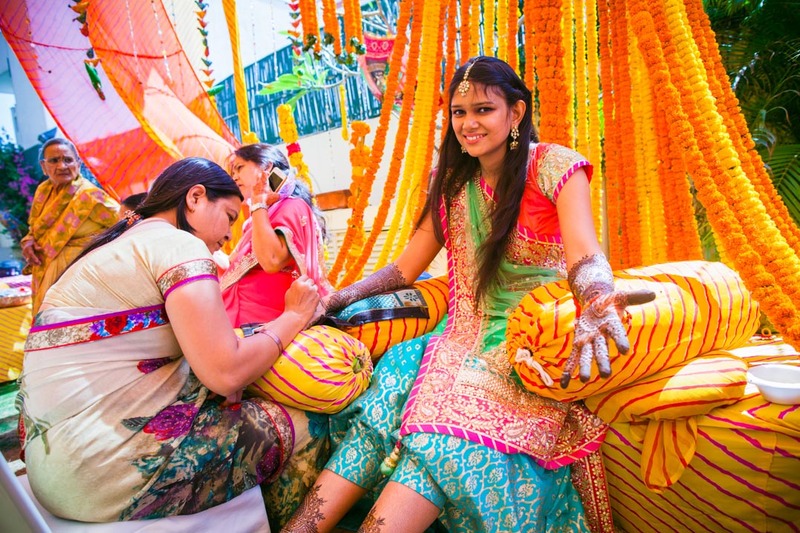 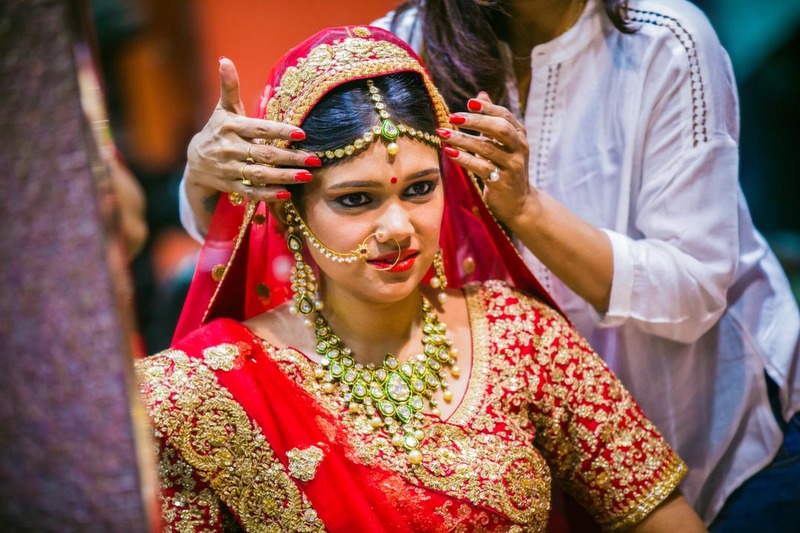 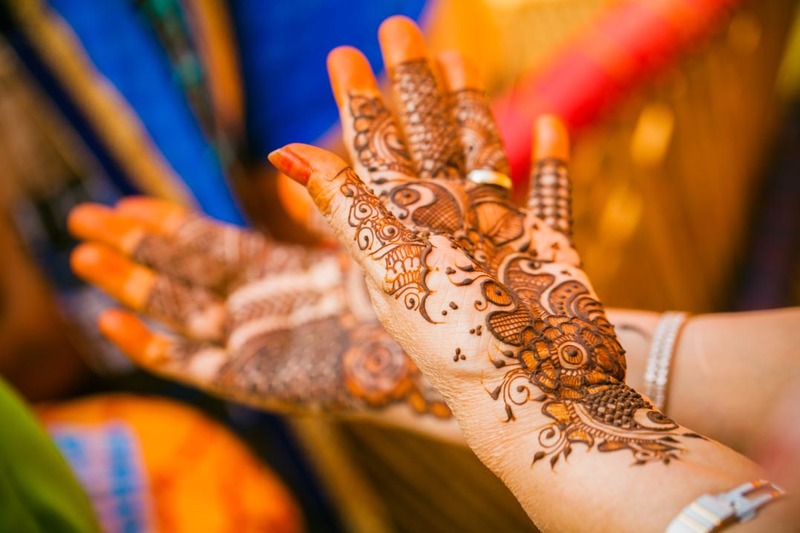 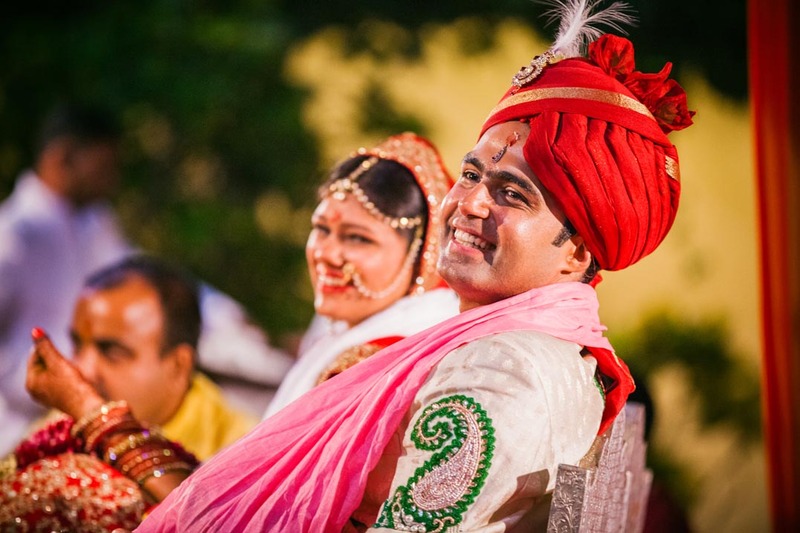 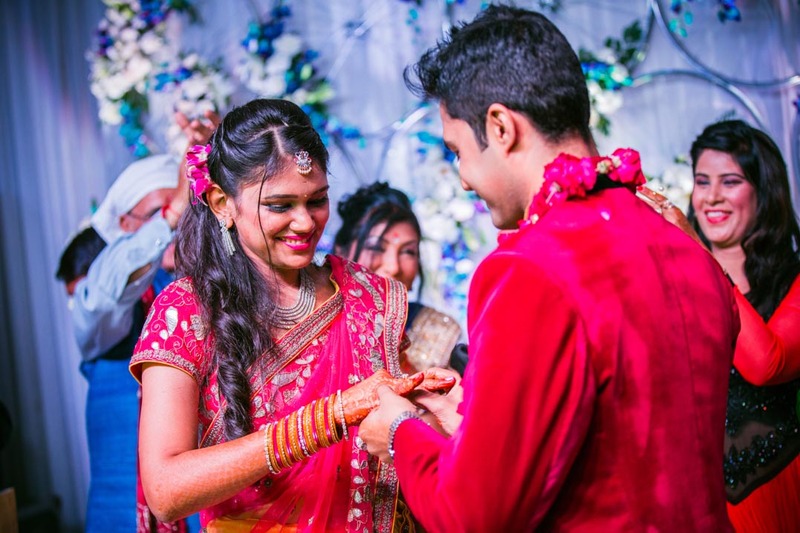 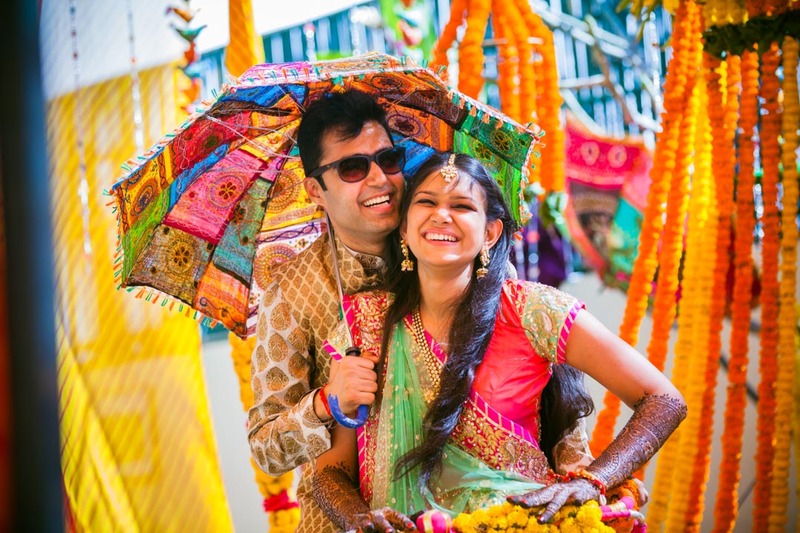 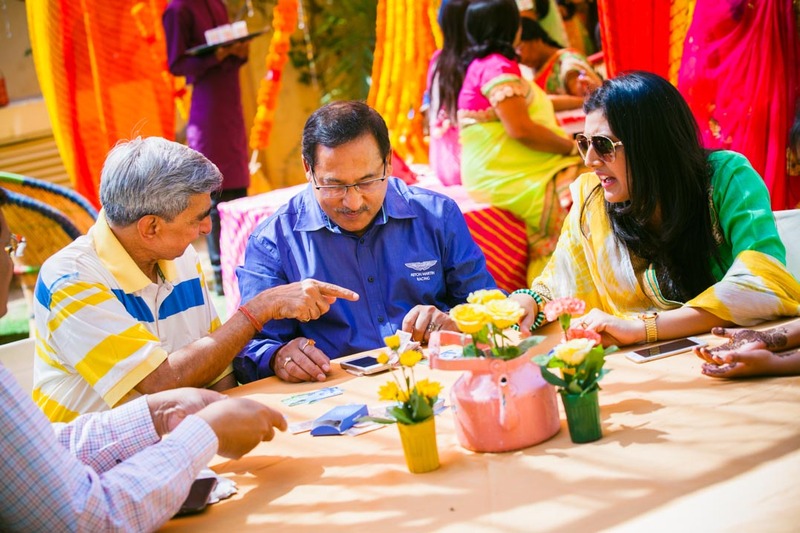 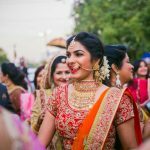 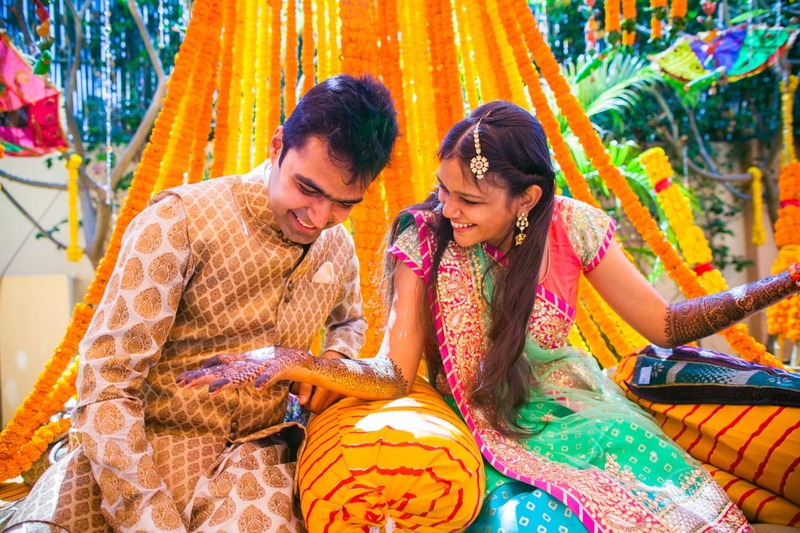 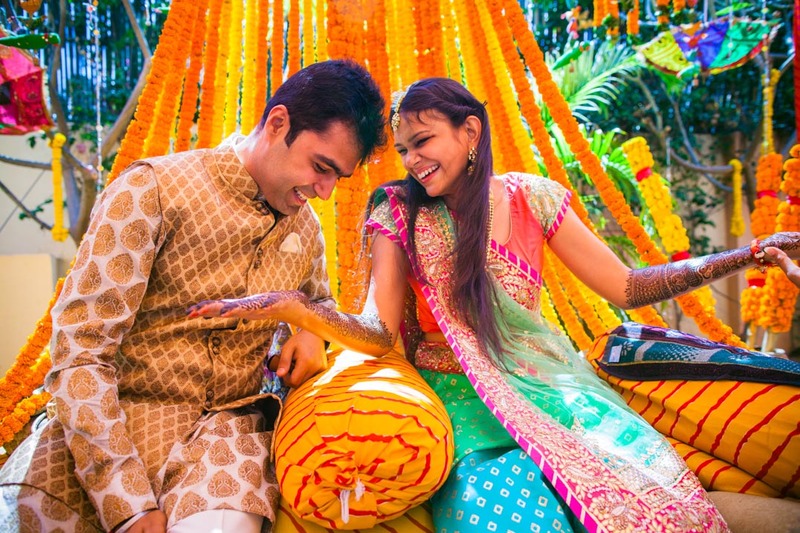 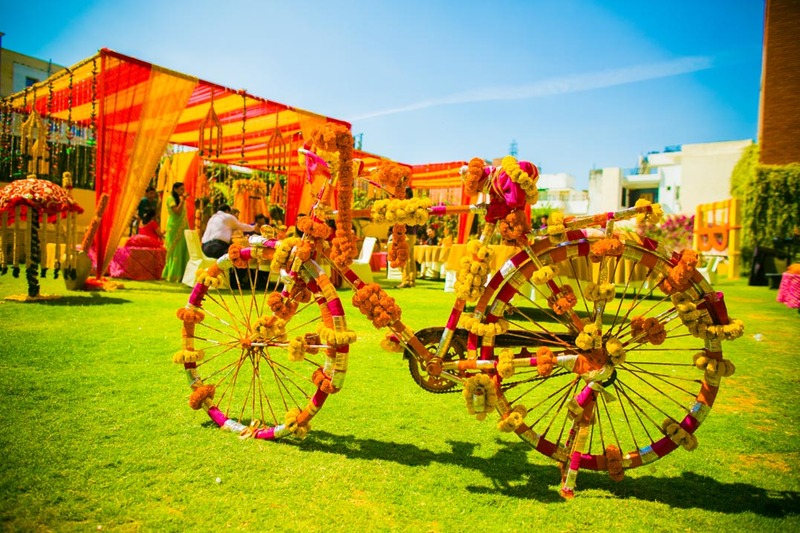 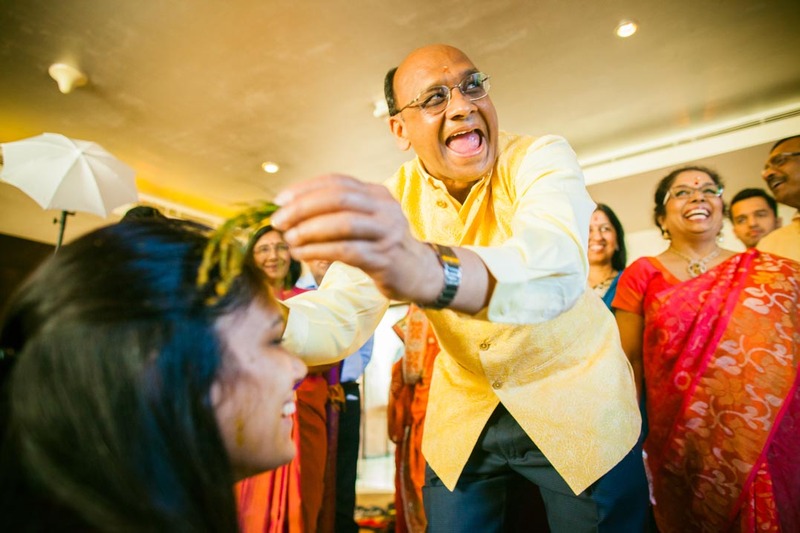 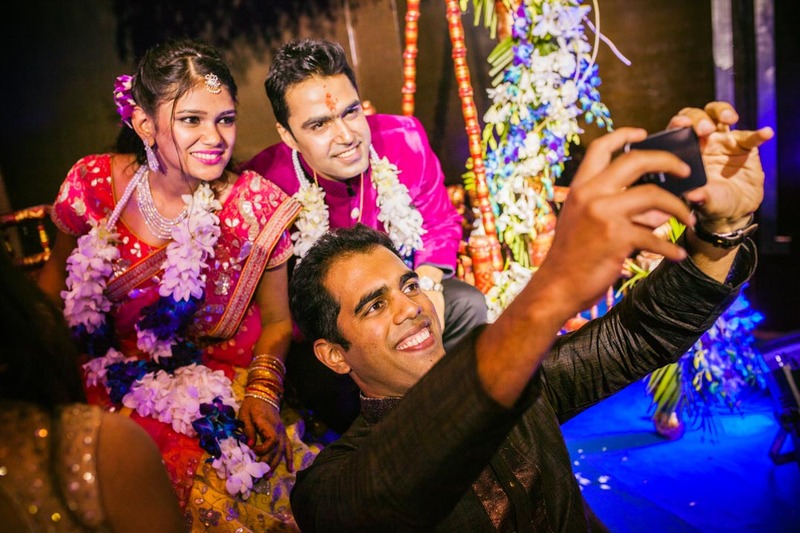 A wedding worth remembering for its charming couple, the vibrant traditions, colourful outfits and loads of laughter and fun.